Guess what? 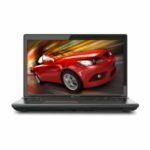 BuyDig now has the Toshiba Qosmio X875-Q7190 17.3″ Notebook PC w/ Intel Core i7-3630QM, 12GB DDR3 RAM, 1TB HDD, Windows 8 on sale for $1169 ($1249 – $80 off with coupon code GAMEON), shipping is free. You can also get another 1% cash back from Mr. Rebates. 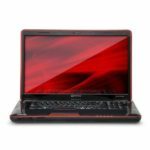 Our price research indicates this is now the lowest price we could find for this Toshiba notebook PC, we save roughly $160 compared to the next best available from reputable merchants in the market, so I think it's a very decent deal. 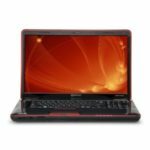 The Toshiba Qosmio X875-Q7190 notebook PC highlights a Powerful Intel Core i7 3630QM Quad Core processor, 12GB DDR3 1600 MHz Memory, 1TB 7200RPM Hard Drive (2x 500GB), 17.3″ diagonal widescreen TruBrite TFT LCD display at 1920 x 1080 native resolution (SHD), and NVIDIA GeForce GTX 670M Discrete Graphics with 3GB of GDDR5 Discrete Graphics Memory. Other features include: DVD SuperMulti drive, 802.11 b/g/n WLAN, Full HD Webcam, HDMI port, Built-in harman/kardon Quad Speakers, SRS Premium Sound 3D, 8 cell/47Wh Lithium Ion battery, and more. 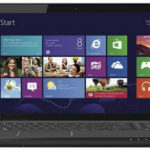 The notebook runs on Gunuine Windows 8 operating system. Needless to say, such a configuration is powerful enough for any kind of use. 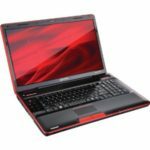 So if you are planning to purchase a high quality large screen notebook PC without breaking the bank, I think the Toshiba Qosmio X875-Q7190 is a perfect choice now. What do you think?